What a busy summer it was! We had such a great start — with a perfect amount of rain and moderate temperature days — and then a completely different ending to the season. I’d like to say something nice about what happened the last half of summer, but can’t think of anything! Such a bad drought, terribly hot, very deep mud cracks filled the gardens, and almost all my perennials had to be cut down just to survive. I’ve never had to do that before — ever! 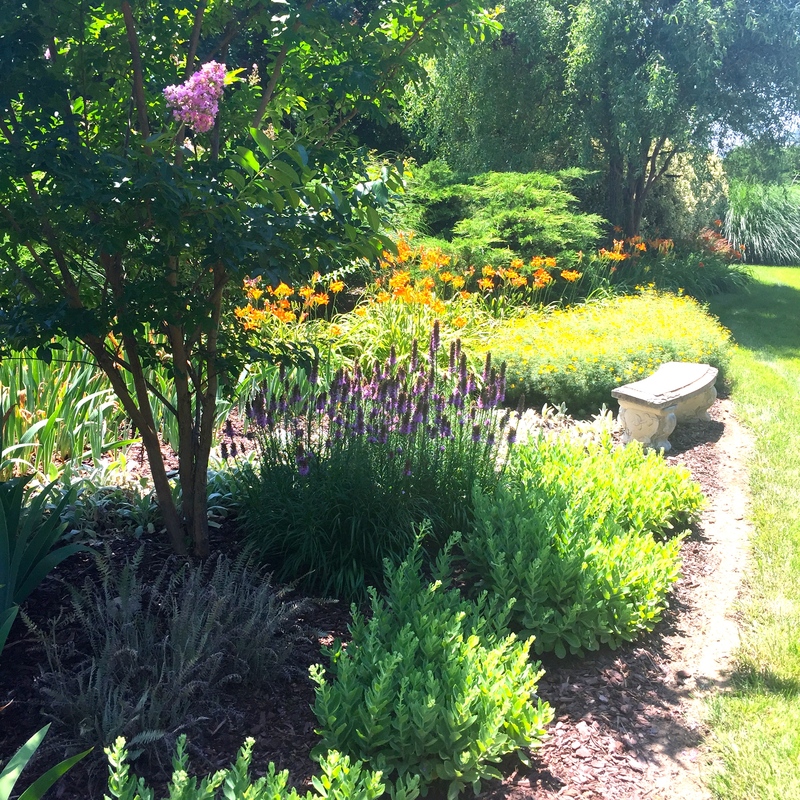 Even still, there were high notes for the summer to report on, and some really fabulous new plants that I tried. On a better note, thankfully, this fall has had some beneficial rains, and things are green once again. Remember in the spring I talked about adding lawn clippings into the garden to renovate it and lighten up the soil? 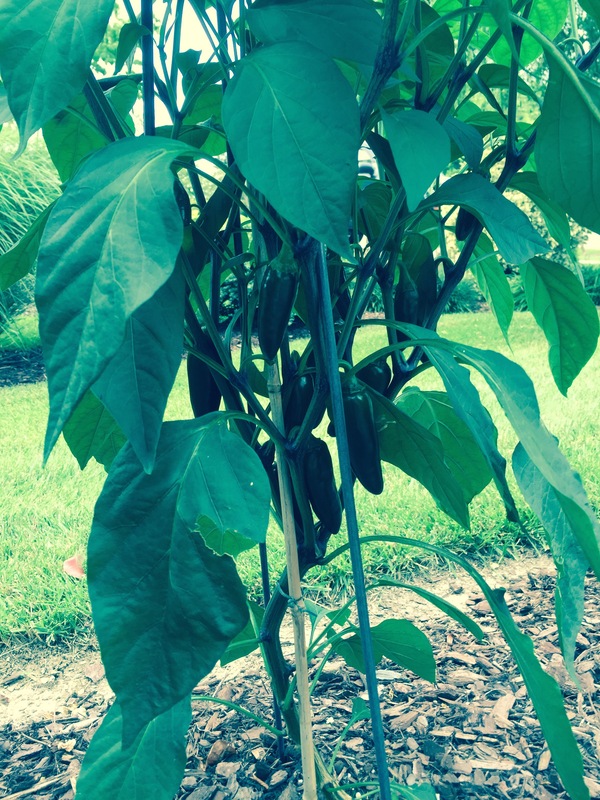 In the veggie area where I did this, I planted a few basil plants and a jalapeno pepper. I had promised that if the soil was improved with amendments like these, that it would pay off in a big way, and did it ever! I harvested 125 jalapenos from just one plant! Believe it or not, I am still getting new growth, with no sign of slowing down. The cooler fall temperature will eventually end its growing streak, but what a testament to simple soil amendments and how they can make such a difference in your garden. 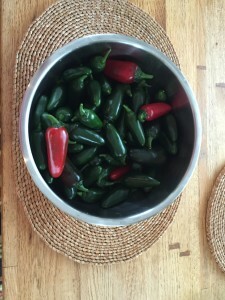 An amazing number of peppers – 125 – were harvested from this one plant. 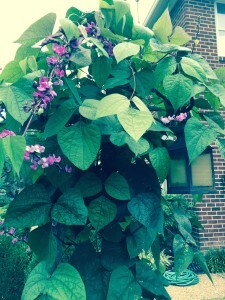 This hyacinth vine gets my top prize this summer for its beauty and hardiness. Here is a close up of the interesting pods which develop after the flowers. 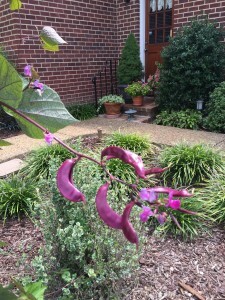 I gauge my garden “hits” on how many people who are passing by ask the name of a plant or comment about them, and this year’s biggest winner was the hyacinth vine I planted in the front yard. 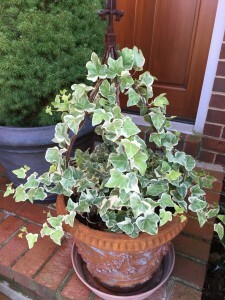 (It was purchased early in the spring at the River Farm Horticultural Center’s annual plant sale, and if you are ever in the Washington D.C. area when it’s going on, I highly recommend going to it.) 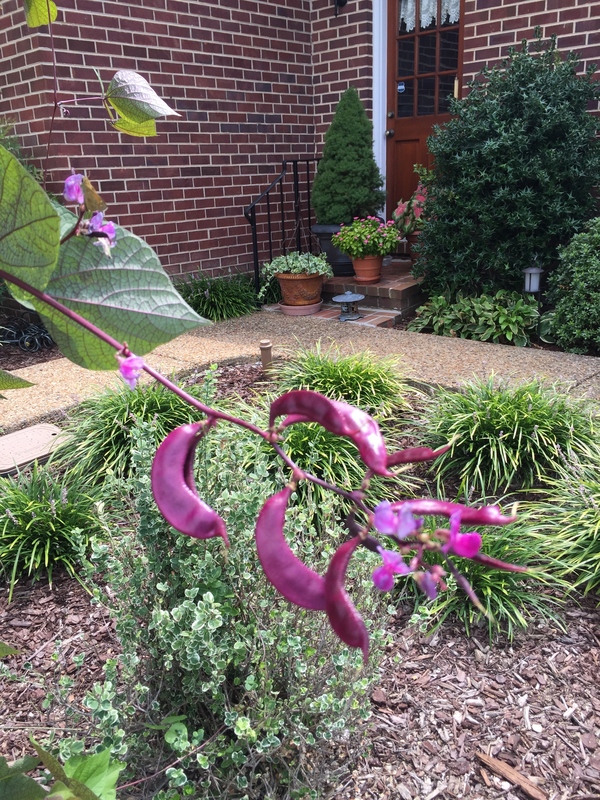 This vine was gorgeous throughout the summer and was covered in beautiful purple flowers, which then became purple pods. It thrived in the heat and the drought and grew like crazy. By crazy, I mean growing 2-3 feet a week! It reminded me of the story of Jack and the Beanstalk the way it grew so fast. I saved many of the pods, which are filled with seeds, and plan on giving them away to friends and starting a few vines for myself next year. 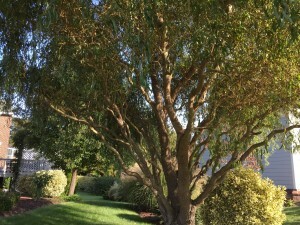 It had an old fashioned appeal, and I think it would be a show stopper in almost any garden! 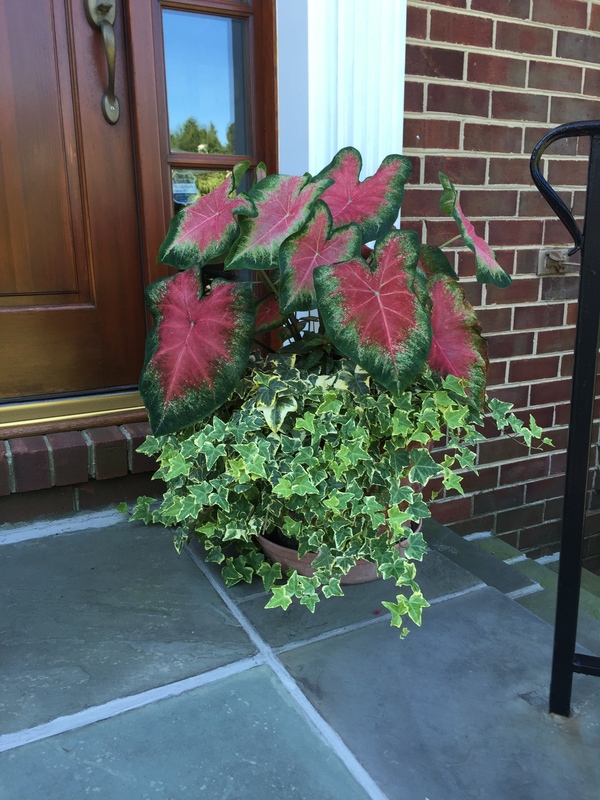 The caladium plants put on a show all summer and didn’t mind the heat at all! 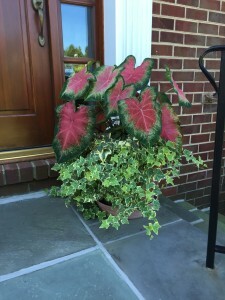 I also received a lot of comments on the caladium plants on the front porch. I had never grown them before at the house. 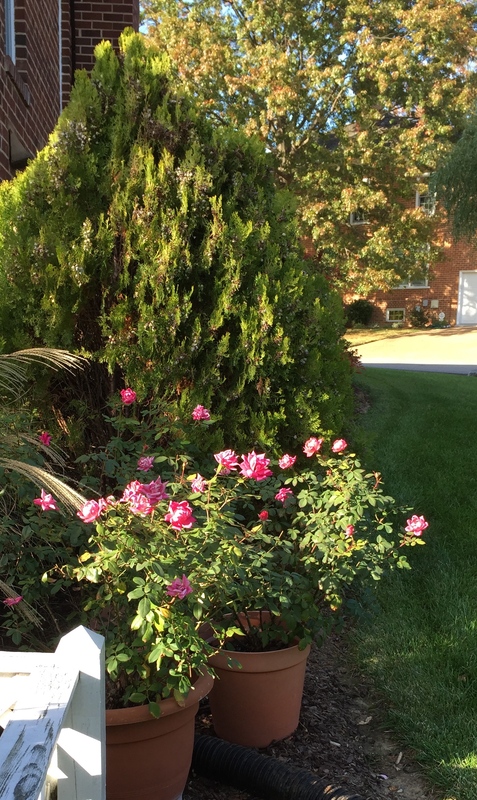 I was very pleased with how well they grew and what a beautiful focal point they became. 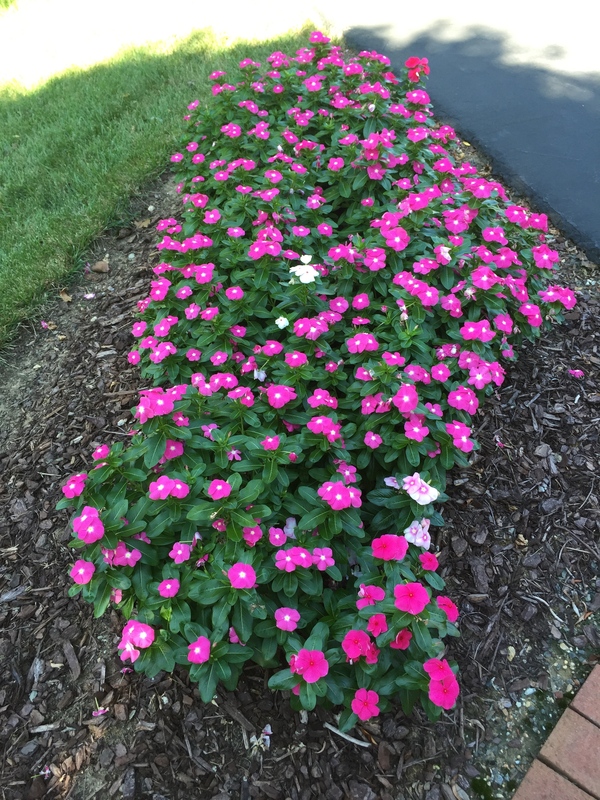 They held their color and did well in the heat all summer and early fall. I have saved the bulbs and will see if I can re-grow them again next summer. I’m hoping to have plenty of these to share too. 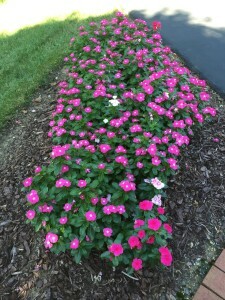 This is the third year I have planted vinca by the driveway. 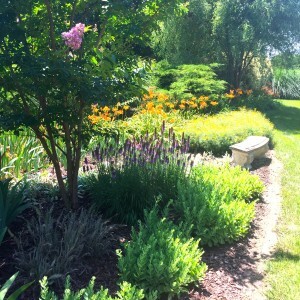 It does so well here, and some of the previous years’ colors have self sown – love the mix. 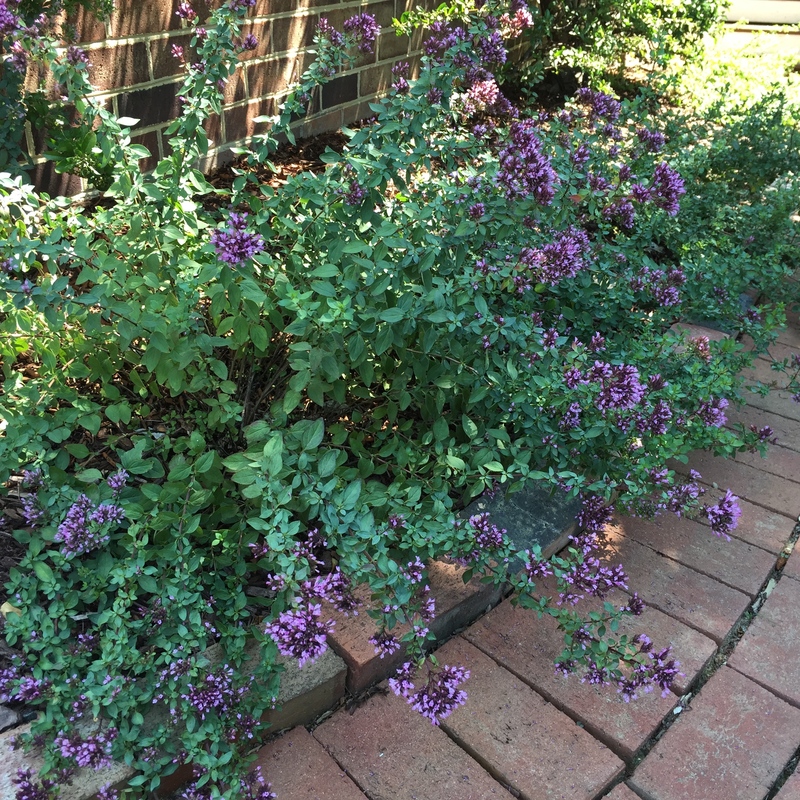 This was a great summer for herbs. 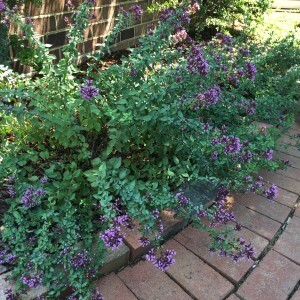 Even the oregano was blooming nearly half of the season. All of the ivy plants had to be cut back to the soil after such a hard winter. They thrived this summer and are better than ever! If you are looking for a medium-sized tree with year-round beauty consider a curly willow. This has become one of my most treasured plants. To close, I have to give props to the Knock-out roses. They gave constant color this summer and always make me smile! The other plants that did fantastically well this Summer were the coleus, vinca, ivy, herbs, roses and my “pet” fav — the curly willows! As we approach the midpoint of fall, this area is having an Indian summer. There was a frost a couple of weeks ago, and now the temperature is back up to almost 80 degrees. I am really looking forward to the beautiful autumn leaves and reporting back on some new varieties of fall flowers that I’m growing. Until then — hope you are enjoying the season!